The clean and unpolluted air, warm climate and low humidity provide a healing environment that is like no other place in the world. The oasis is home to hundreds of hot and cold mineral springs which have been used since Pharonic times for health and vitality. Different springs have different healing properties depending on their mineral content, many rich in magnesium (the relaxation mineral) and sulfur (the beauty mineral). There are also vast detoxifying salt lakes with similar medicinal properties to the dead sea. The mud is also very special and we use it both internally and externally for health and detoxification. We can provide you with a mud and local herb mix which you can cover yourself with whilst you are visiting one the hot springs – the feeling afterwards is amazing! 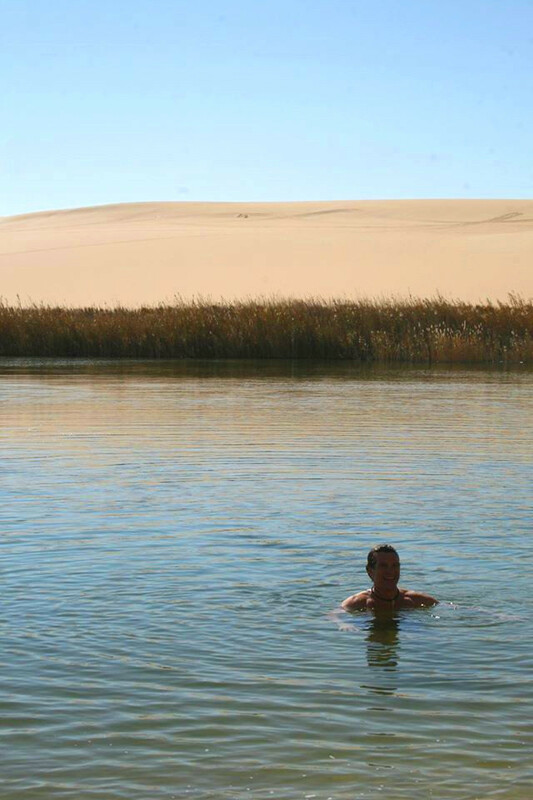 Siwa is also famous for traditional sand baths. The sand in this region is extremely rich in the healing platinum group minerals, one of the reasons Siwa was an ancient center of alchemy and magic in Pharonic times. 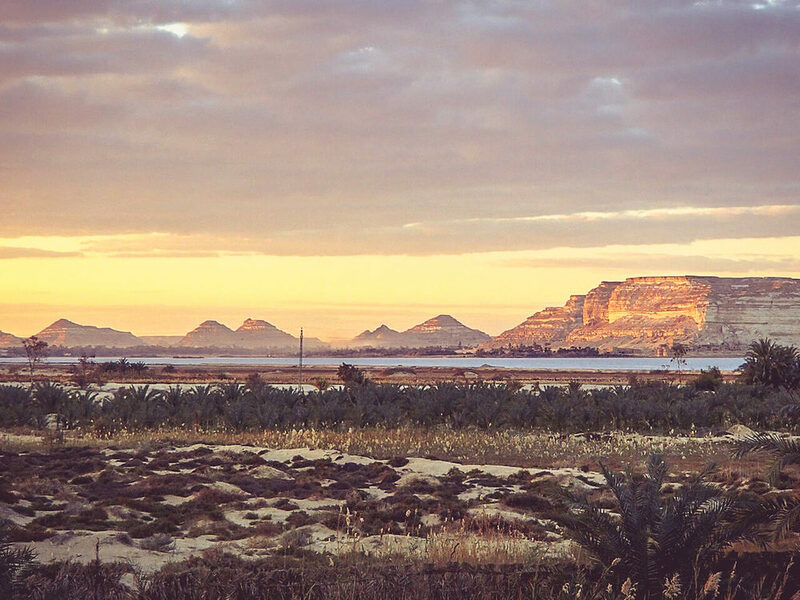 Siwa is home to ancient methods of farming and irrigation, many of which have been unchanged for thousands of years. Dates and olives are the main crops. Before the road opened in 1980 connecting Siwa to the rest of Egypt, the oasis was largely self sufficient in food and most of that was shared openly within the tribe.Most of the farming today is still done by hand with tools unchanged by time. Olives, olive oil, salt, preserved fruit, dates and honey can all be brought in the town. Meat has always played a special role in the diet of the people, especially lamb and goat. The animals here are fed the grasses, dates and natural waste from the gardens as well as alfalfa which is grown throughout the oasis. Without the use of animal foods it would be virtually impossible to thrive self sufficiently within the harsh desert environment. Food sovereignty is an increasingly important issue among native communities across the world. As the industrial food system grows and wild food landscapes diminish, many tribal people are severed from their traditional way of eating and living. People here in Siwa are settlers. They still cultivate, harvest, process, prepare and eat traditional foods and this is how they maintain their strong relationship with the land and each other.